Good afternoon to all, Earlier this week my family and I decided to take a trip from Western NY to Sandusky, Ohio for a vacation to Cedar Point. On the way there I made a stop in Beachwood, Ohio for a initial workout consultation at Overload Fitness. I was given a tour of the facility and was instantly impressed with all the equipment. I noticed right away the temperature was very comfortable in the exercise room at around 62-65 degrees. After a couple minutes a man about 6 feet tall and about 225 lbs, most of it muscle, greeted me. His name is Josh Trentine. Josh spent about 1 hour with me informing me on the proper way to exercise including workout form, cadence speed, frequency of workout and explaining to me the benefits of strength training. My goal for this appointment was to learn how a 51 year old man can improve his muscle function and be fit as humanly possible without injury. After listening to Josh’s advise for an hour it was time for me and my chicken legs to got through an Overload workout. Josh first introduced me to the computerized shoulder press. The goal is to push the weight slowly and keep up with the lines on the graph. I struggled the first 3 times as it is a learning curve to begin with. After the 4th try I did it pretty decent and was very impressed at how smooth the machines are. The amazing thing is when you are trying to keep up with the tracing it seems to go much faster than you think at about 20 seconds. Josh did not take me till failure on this one but I can tell you even short of failure I felt it. Next was to the leg press machine which we went close to failure and it was enough to make these skinny legs shake. The next machine was a static pulldown machine that was also computerized. 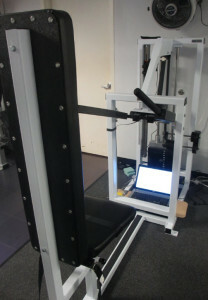 The goal of this machine was to slowly exert force to certain line on the computer then maintain it and allow your muscles to fail. This machine was awesome but really hard as I knew my heart rate was going up pretty high. The last machine was the static leg extension which worked the same as the pulldown machine and once again was awesome and tough. It was a very good experience for me and wish there was a facility close to me in Western NY. One thing I liked is that Josh would keep me on track and motivate me. I now believe that anyone can reach their true potential if they were to train at a facility like Overload Fitness. If you don’t have access to a RenEx licensed facility you can still benefit tremendously by learning first hand and in real time the techniques and innovations we use everyday at OVERLOAD Fitness by joining the RenEx Inner Circle. Click here to join TODAY! 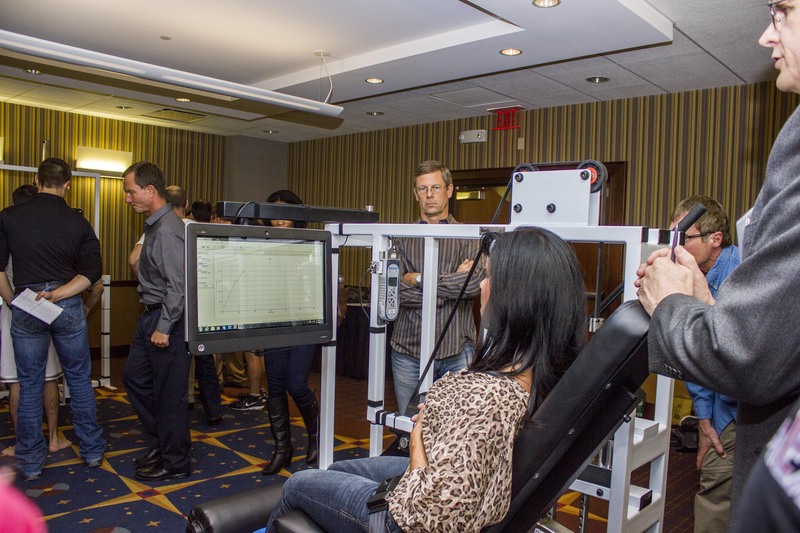 Another excellent article that demonstrates how effective static training can be. Anyone who hasn’t tried this type of workout should definitely consider doing so. Next post: Conversations on the RenEx Inner Circle Today!